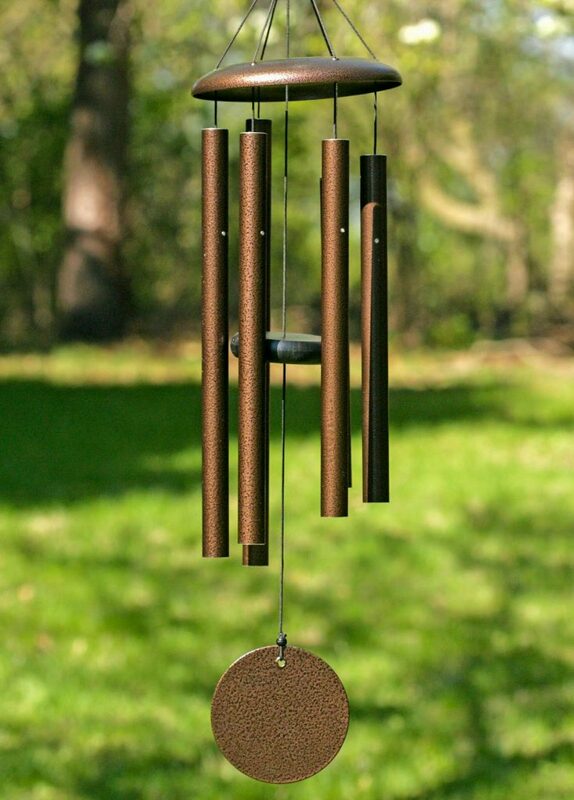 The wind chimes now hanging around Alvin Community College (ACC) are there for more than just decoration and ringing pleasant sounds on campus. The college installed the chimes to assist students with vision disabilities at the college. Wind chimes were installed at certain locations on campus to help students find where they need to be. “The chimes can be used for finding a building or for directing the student past on open space to a border where they can use their canes to navigate,” said Eileen Cross, ADA advisor for the college. ACC advisors thought about implementing the chimes after Texas A&M University had success with its program. “It seemed like a simple idea that was low cost and extremely beneficial for our students,” Stephanie Stockstill. Students with vision disabilities say the chimes have been helpful in their daily walks on campus. Tameron said he also appreciated that the ACC staff considered using innovative methods to help him as a student. Several chimes have been installed around the ACC campus in areas where students with vision disabilities do not have physical landmarks to find their way, Cross said. “Whether the chimes are used for the location of a building or a sidewalk they seem to be helping our students,” she said. More chimes will be installed in the future as the college anticipates enrolling more students with vision disabilities , Stockstill said. The chimes have also had another effect on ACC students and staff members. “Faculty and other students have made comments about the chimes because they find them relaxing and say that the campus has a friendly homey feel now,” Cross said.